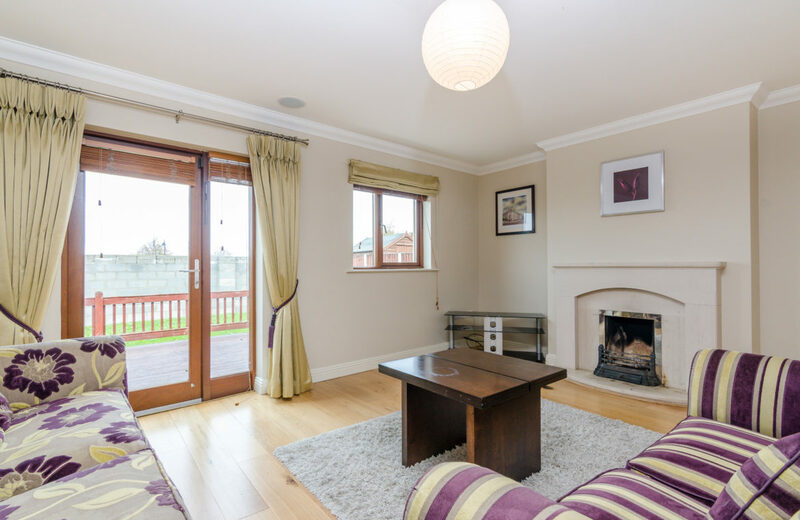 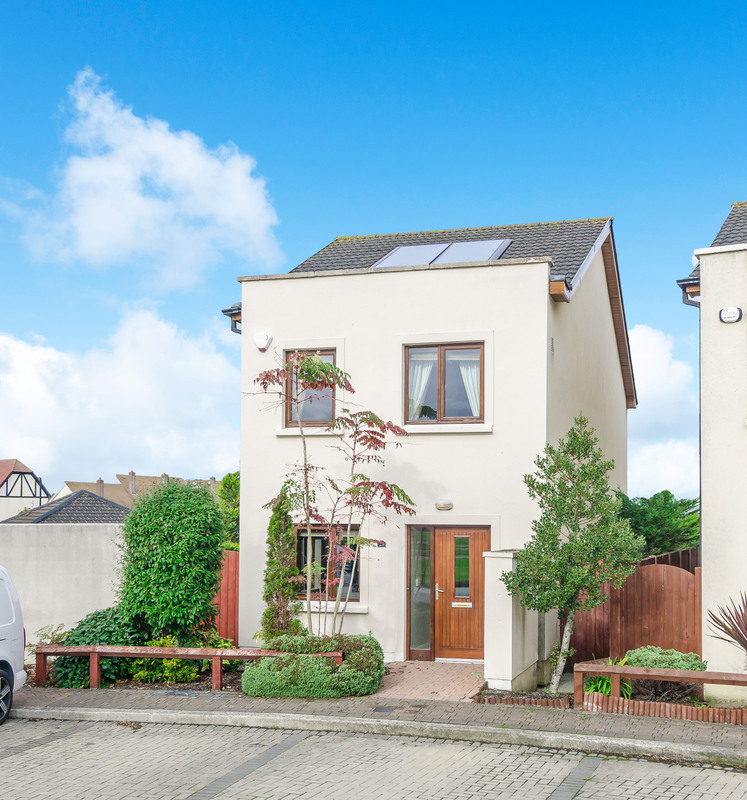 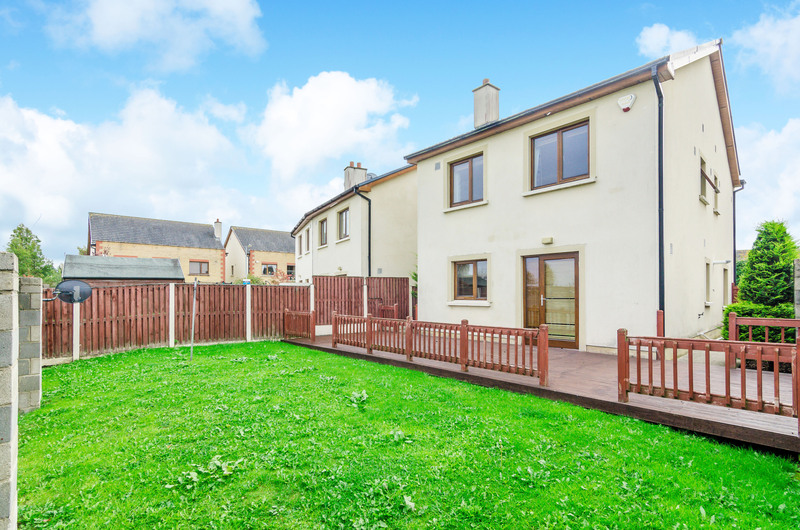 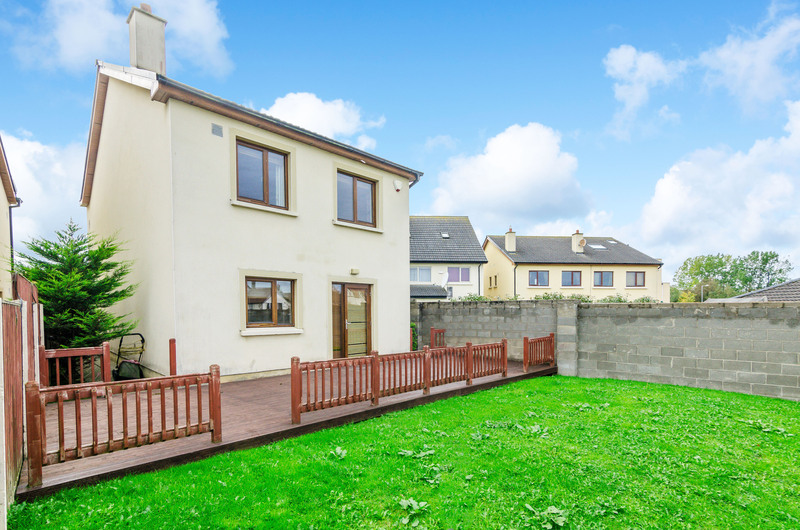 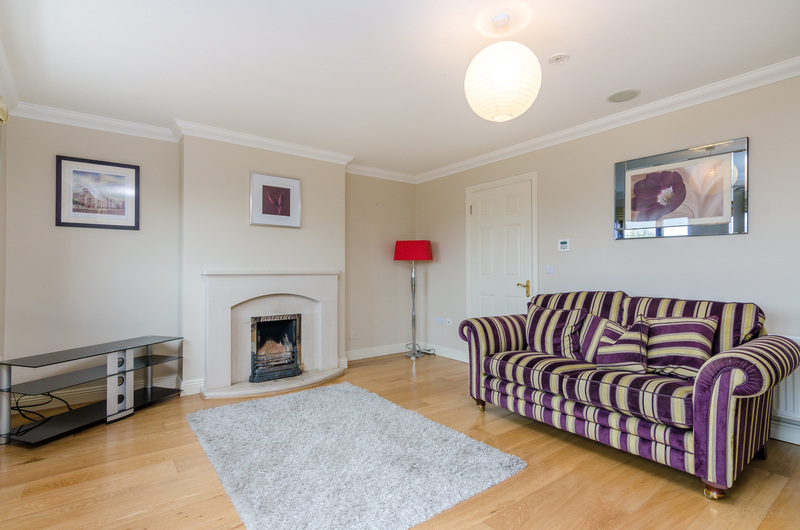 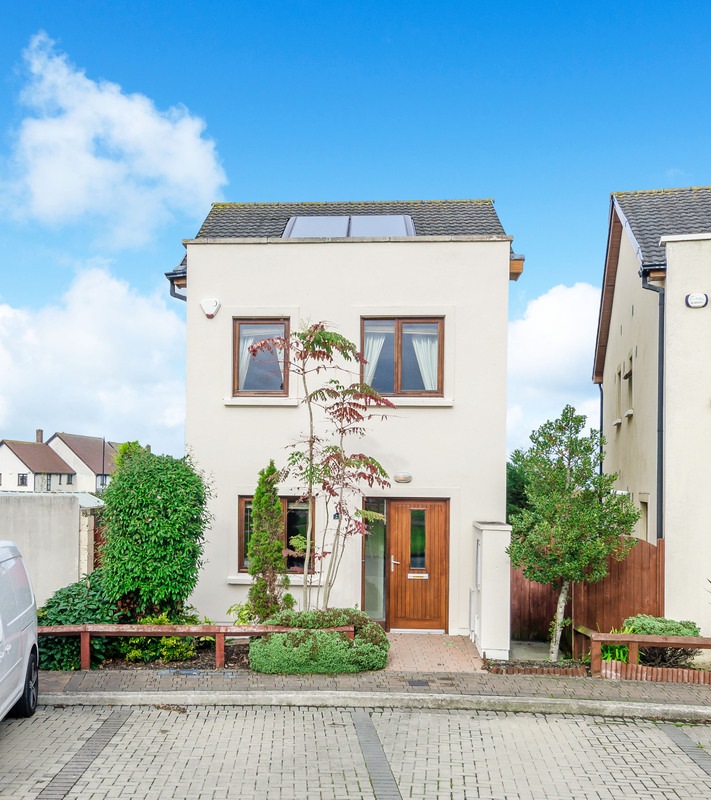 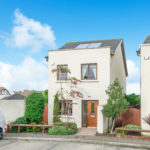 KELLY ESTATES and LETTING AGENTS are delighted to bring to the market this beautiful family home in *** IMMACULATE CONDITION THROUGHOUT *** Situated in a very popular and well located development in Ballynakelly, in Newcastle Village, Number 23 comes to the market in excellent condition throughout with a turn key finish. The accommodation is bright and very well laid out. 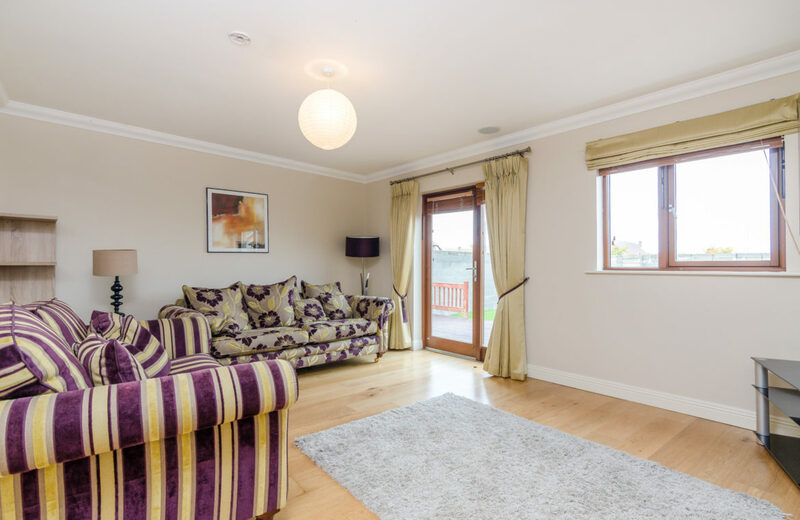 This is an absolutely stunning home located in a sought after residential estate over looking a green area. The spectacular property offers generous accommodation throughout. 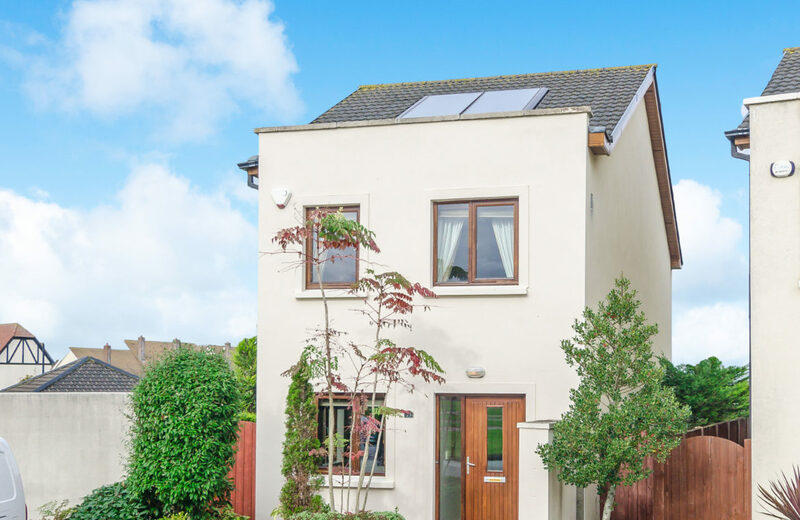 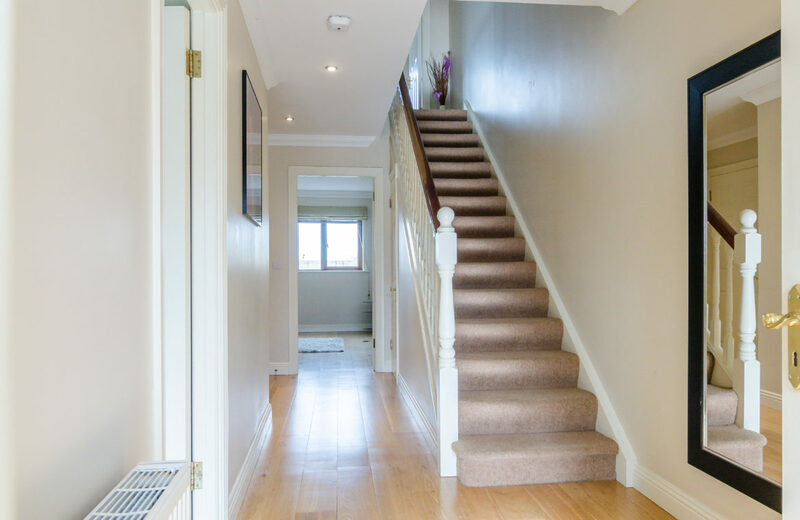 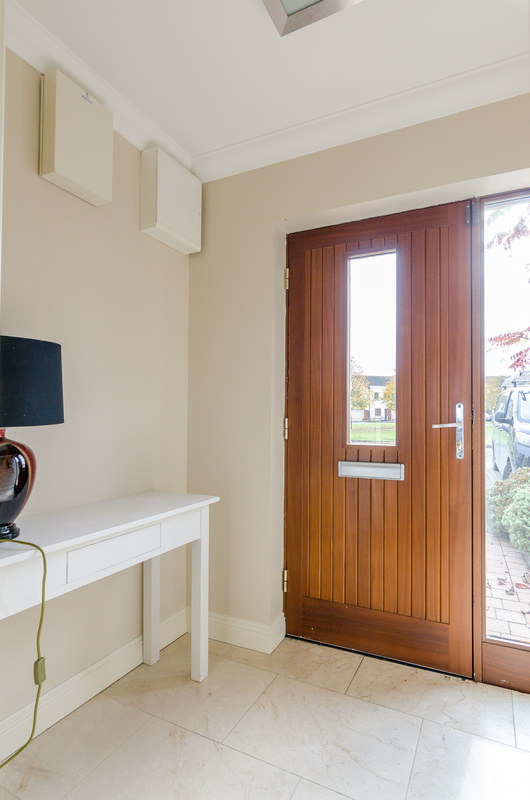 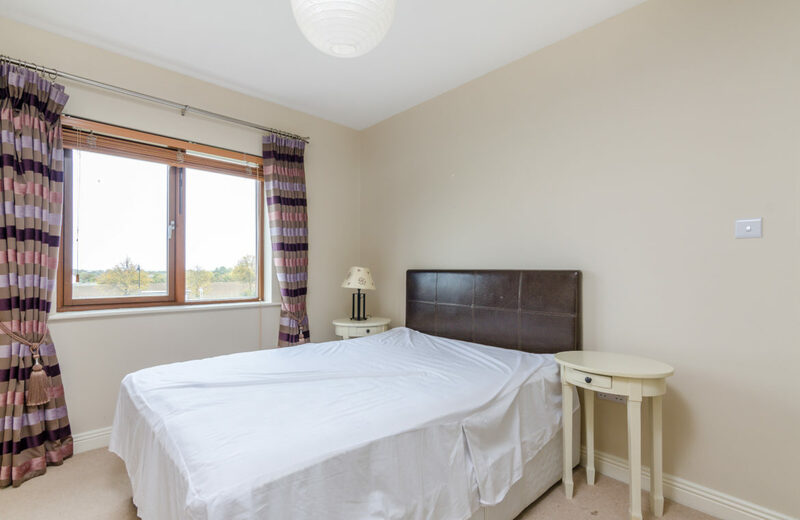 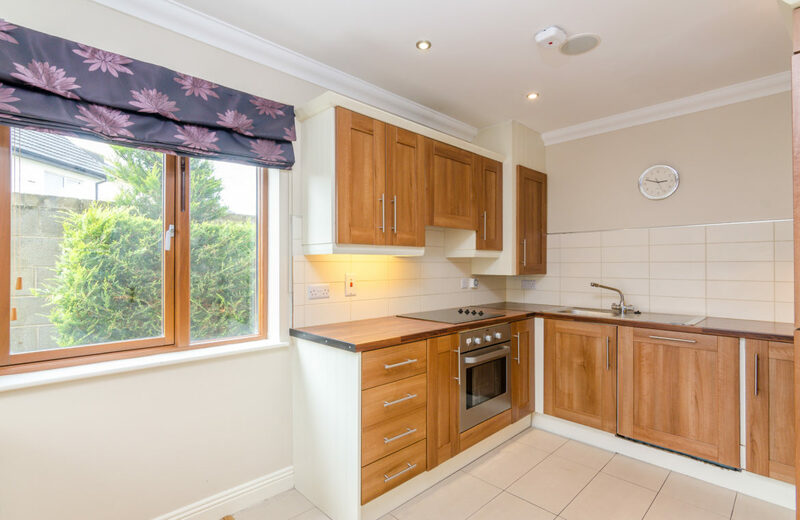 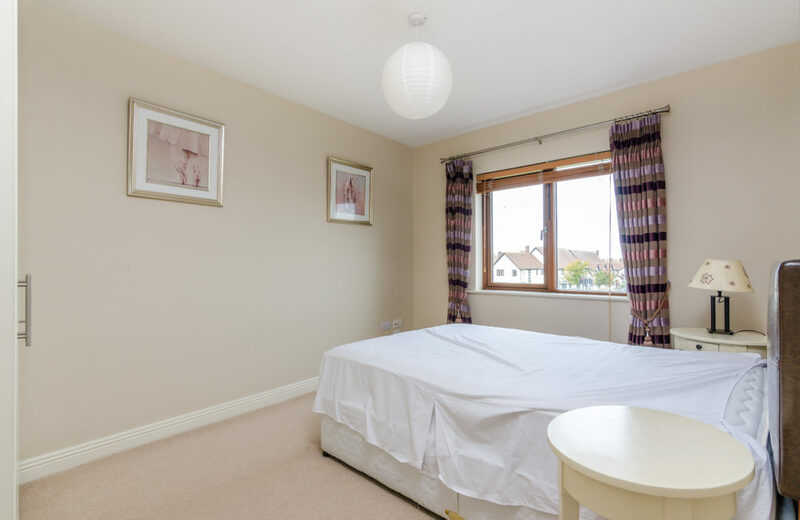 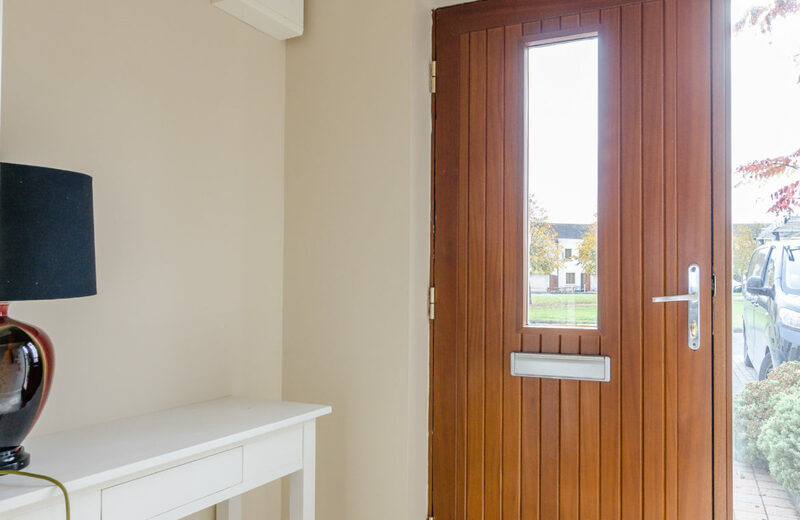 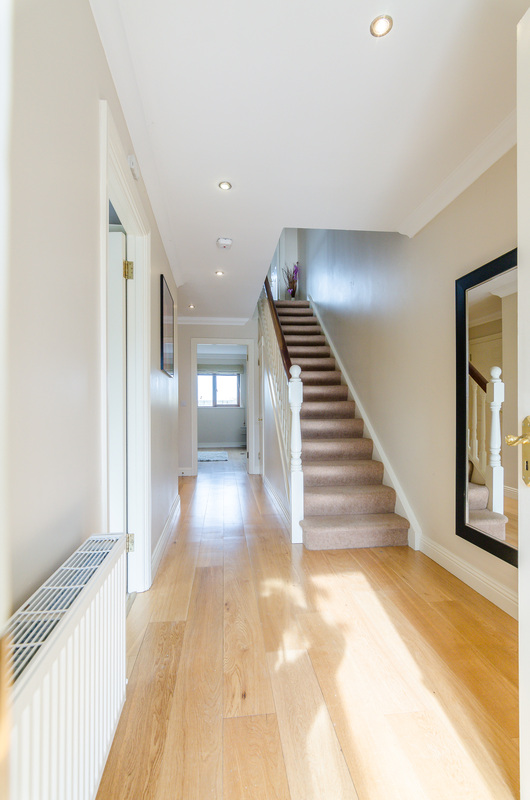 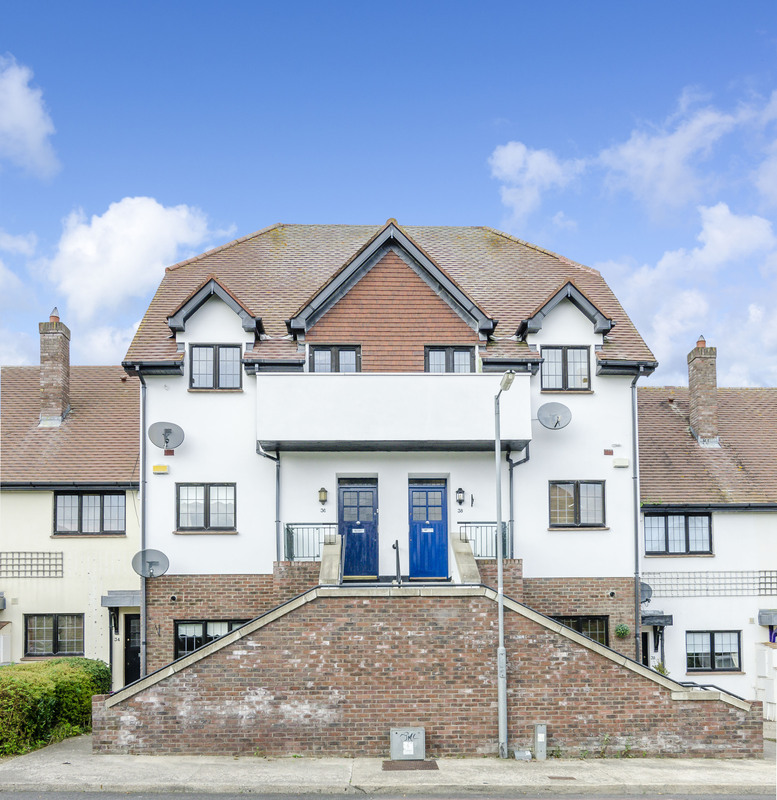 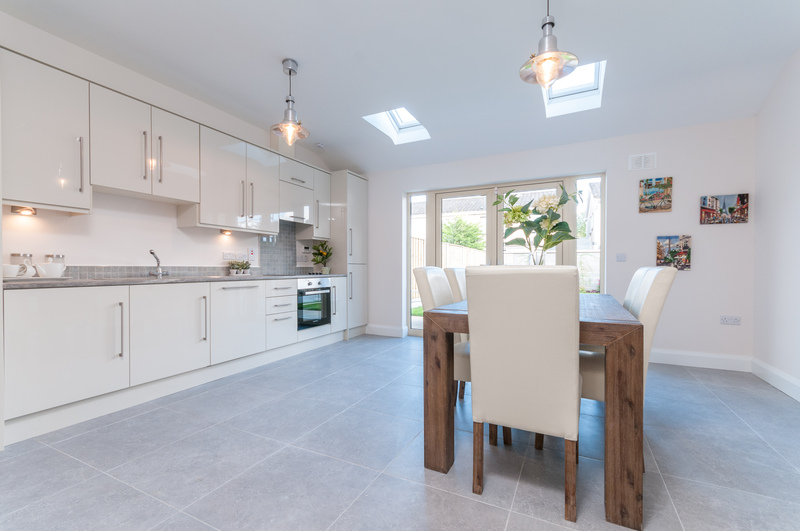 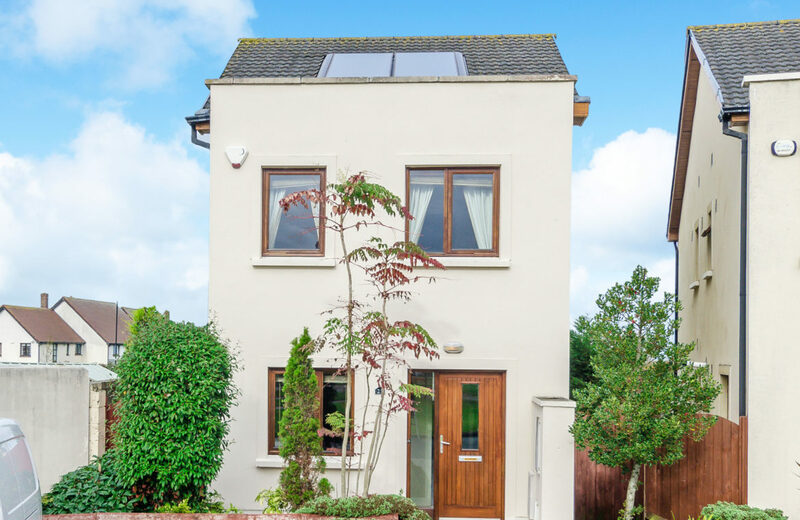 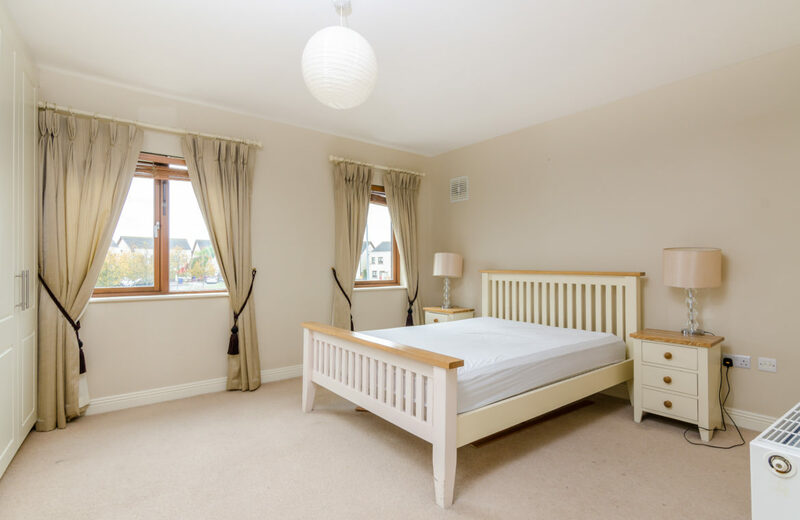 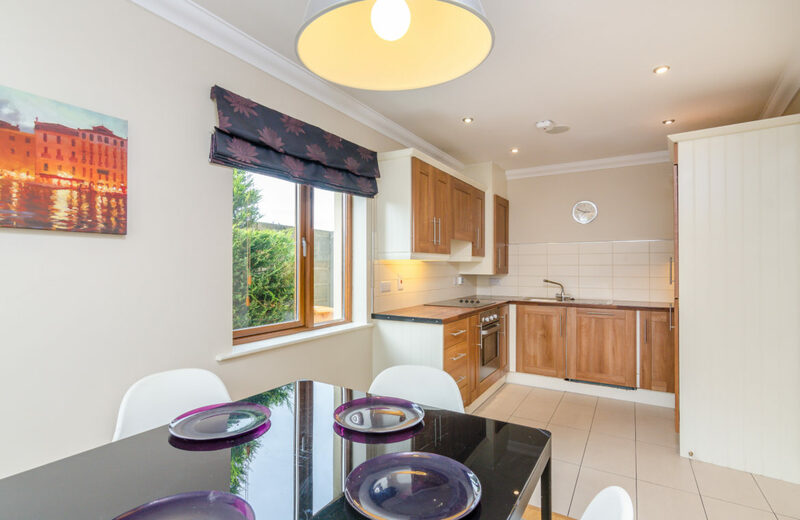 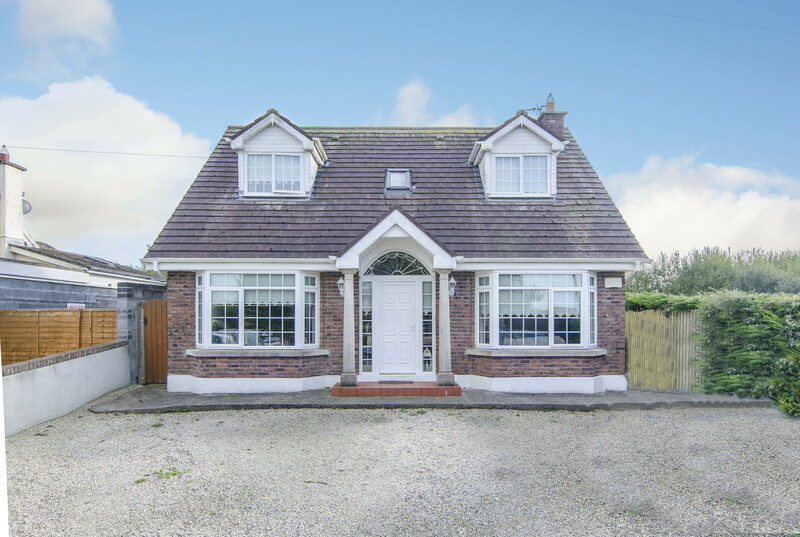 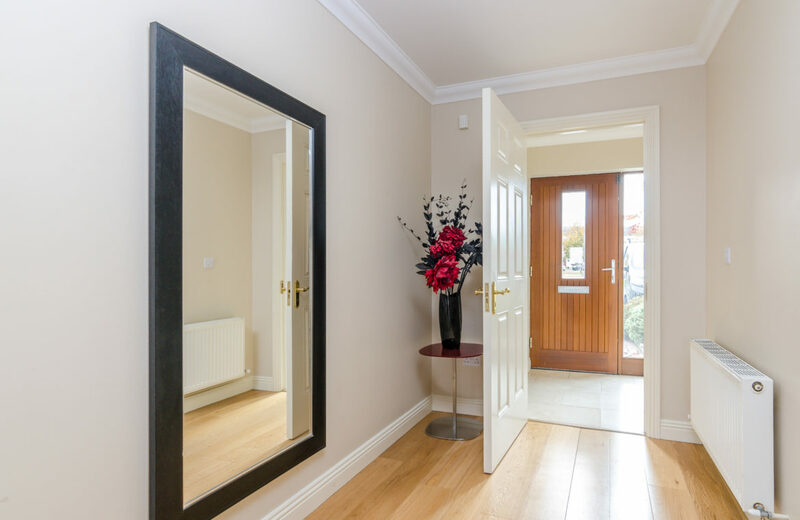 The bright and spacious accommodation briefly comprises of an entrance hall, guest w.c., kitchen/dining area, large living area, landing leading to three bedrooms, master en-suite and main family bedroom. 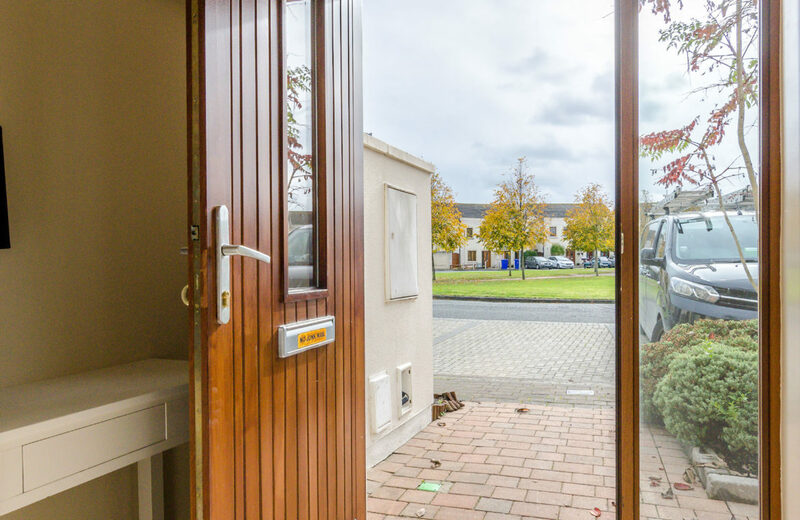 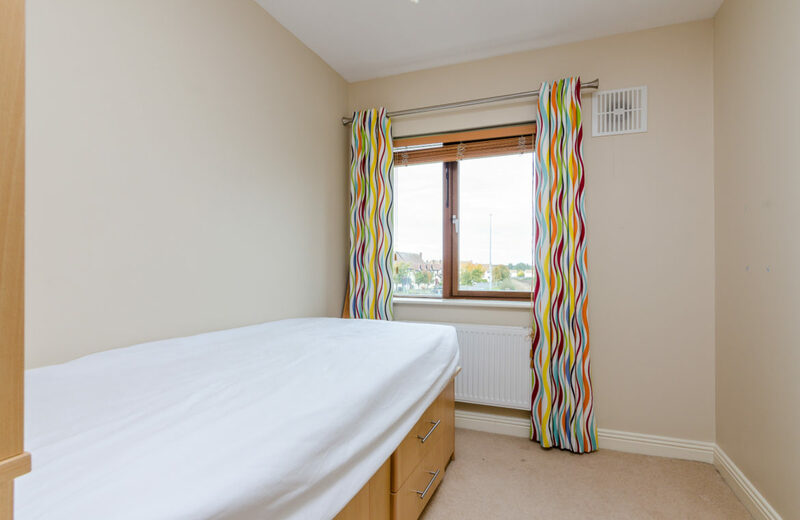 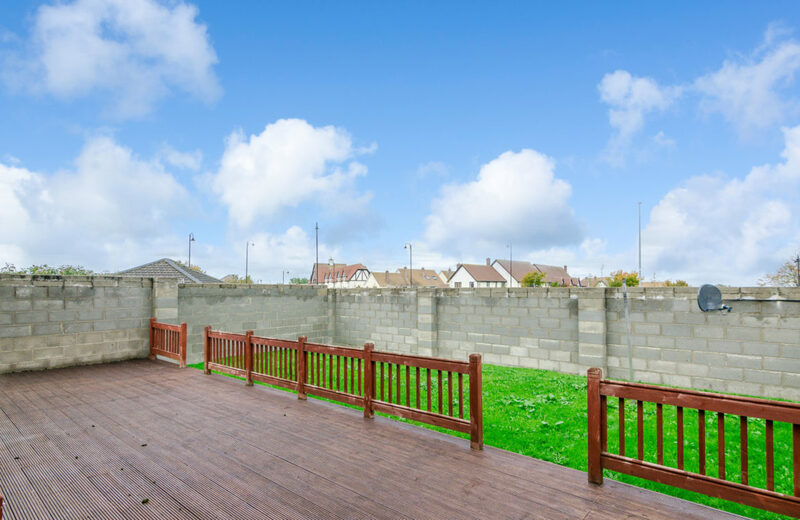 This extremely convenient location is a stone\’s throw away from all local amenities, you could not ask for a more central position! 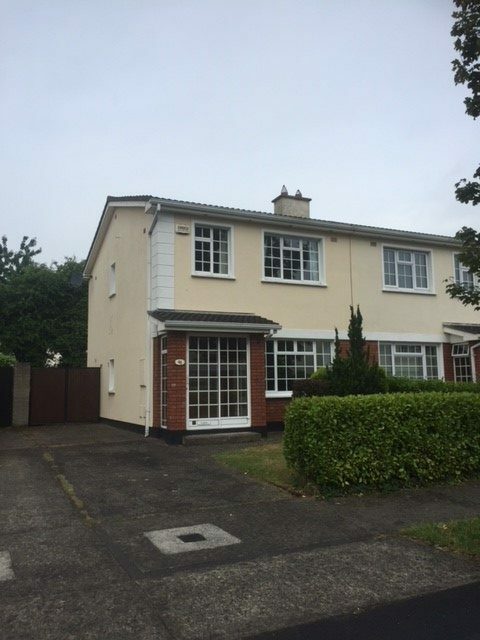 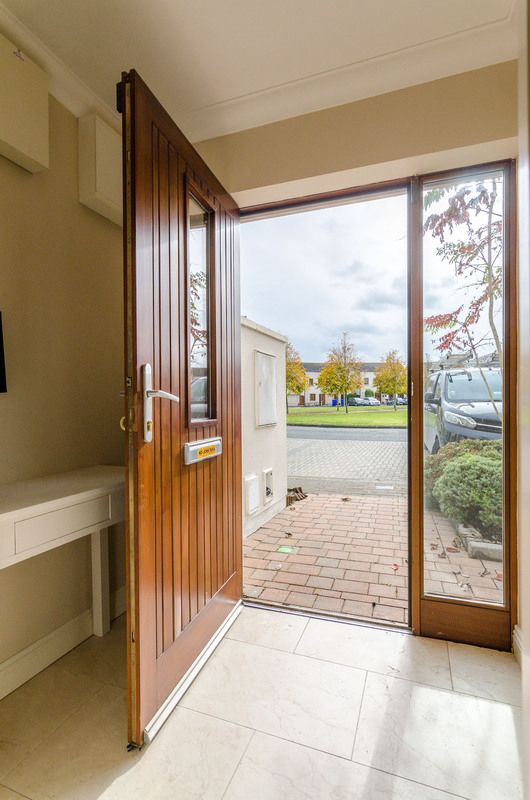 This wonderful home with Dublin bus providing an easy commute to Dublin City Centre, Ballynakelly is within easy access to the N7 and M50 Motorway & surrounding areas, Shopping Centre\’s such as Citywest Shopping Centre & Liffey Valley Shopping Centre are all close by, this wonderful property hosts an abundance of amenities just at your doorstep! 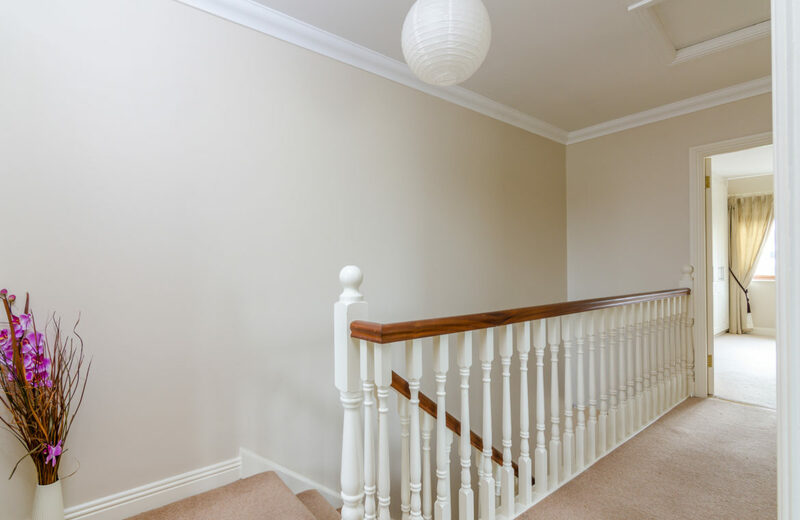 Reception Hall: ( 1.90m x 5.90m) porch with tiled floors, reception hall with wooden floors, stair case access to living room. 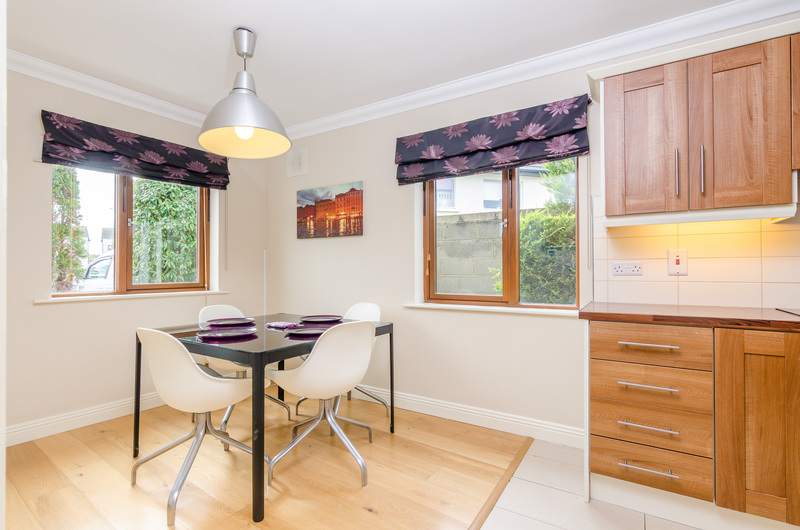 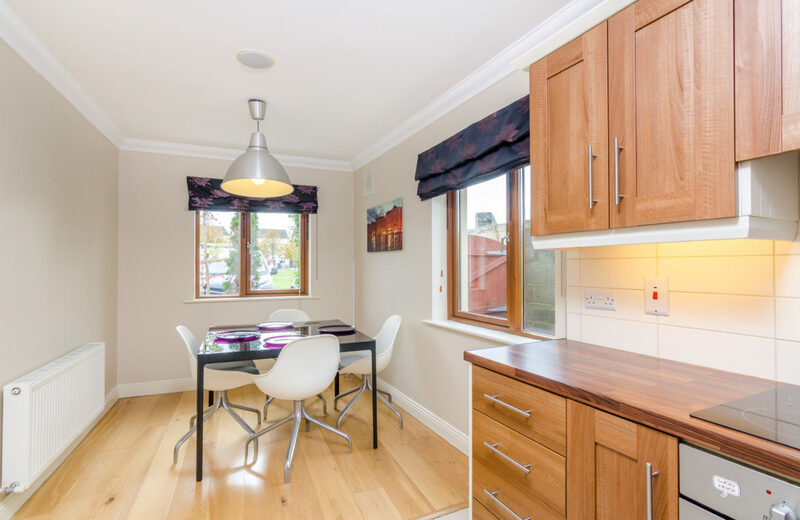 Kitchen/Dining area: ( 5.40m x 2.40m) with wooden press units, drawers, saucepan drawers, worktops, Dining area: Wooden floor, two large windows. 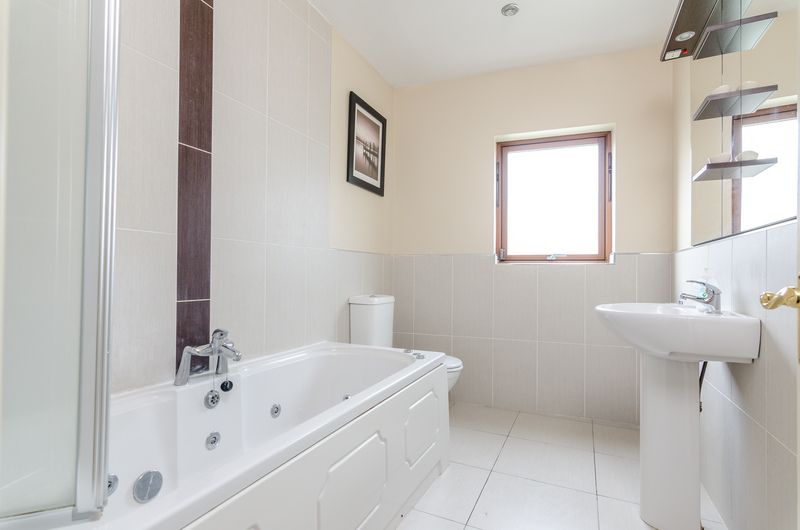 Guest W.C: (1.70m x 2.10m) w.c, wash hand basin pedestal, tiled floor. First Floor: Landing: ( 2.00m x 4.30m) with carpet. 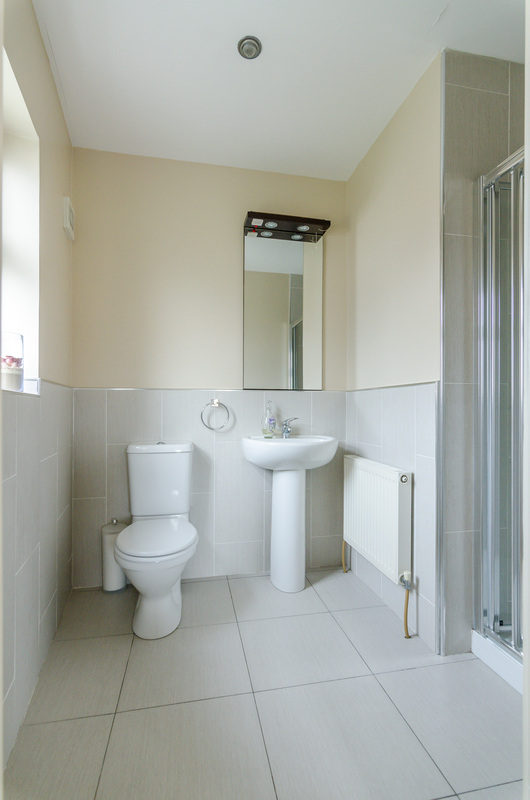 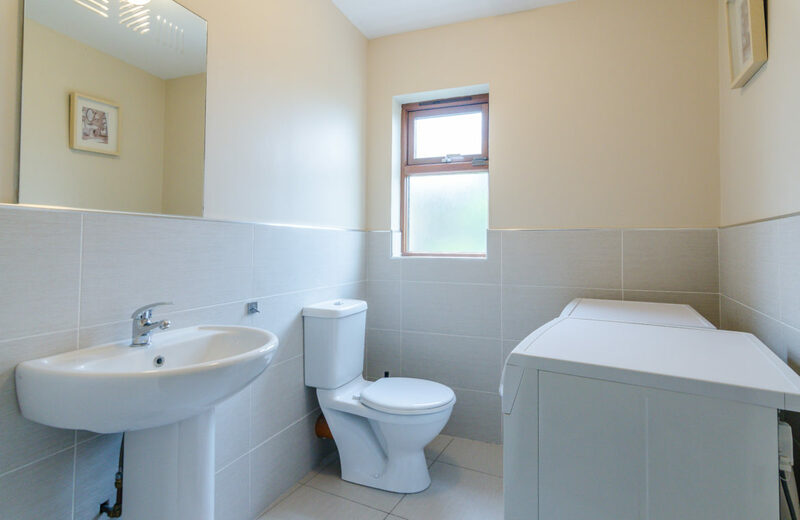 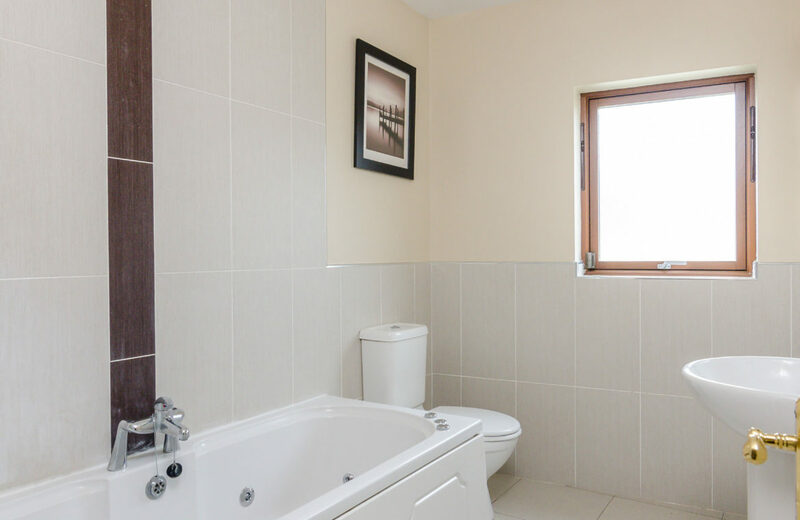 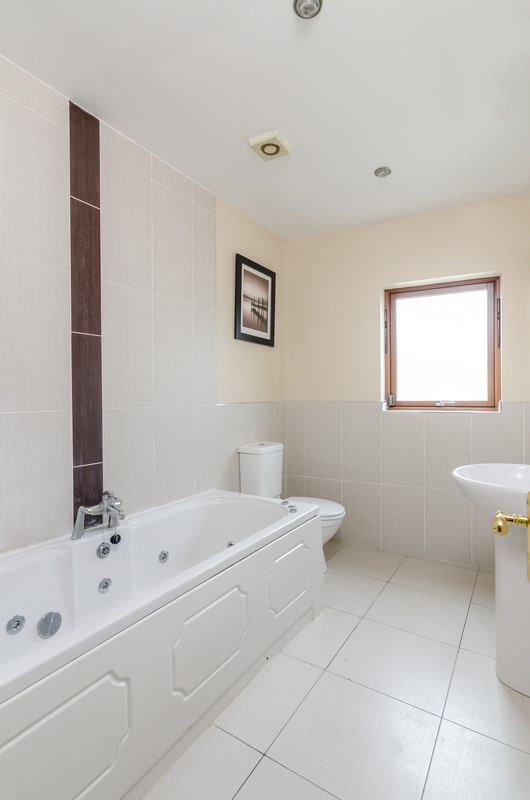 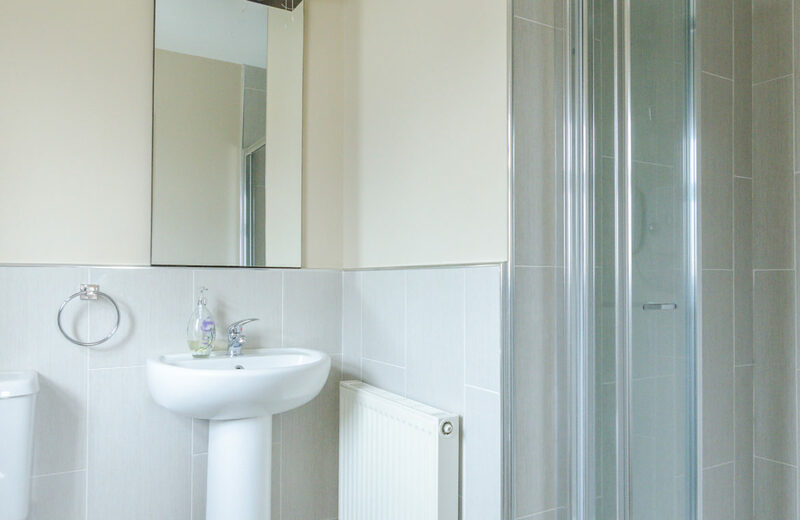 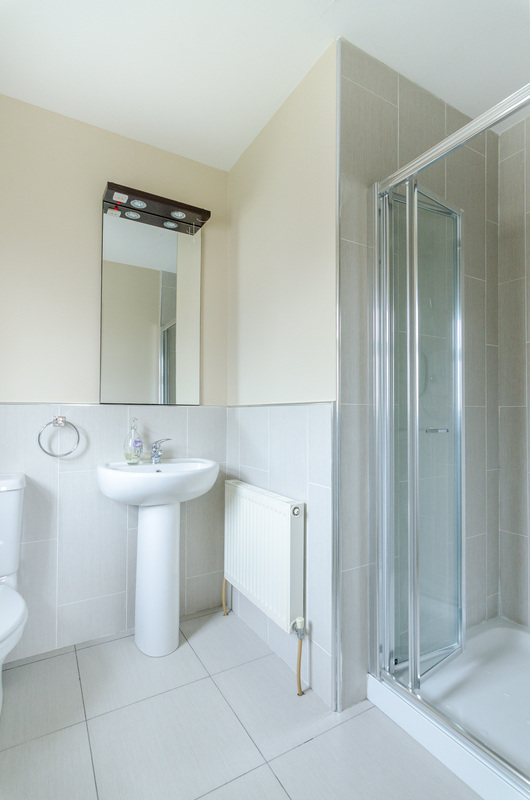 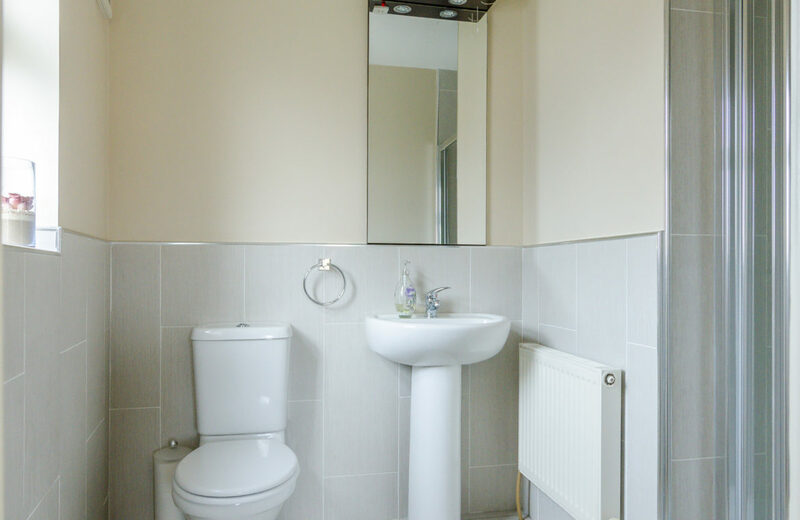 Bathroom: (1.90m x 2.80m) w.c., pedestal wash hand basin, mirror, tiled walls & floor. Bedroom 1: ( 4.40m x 4.20m) double bedroom, carpet floor, built in wardrobes. 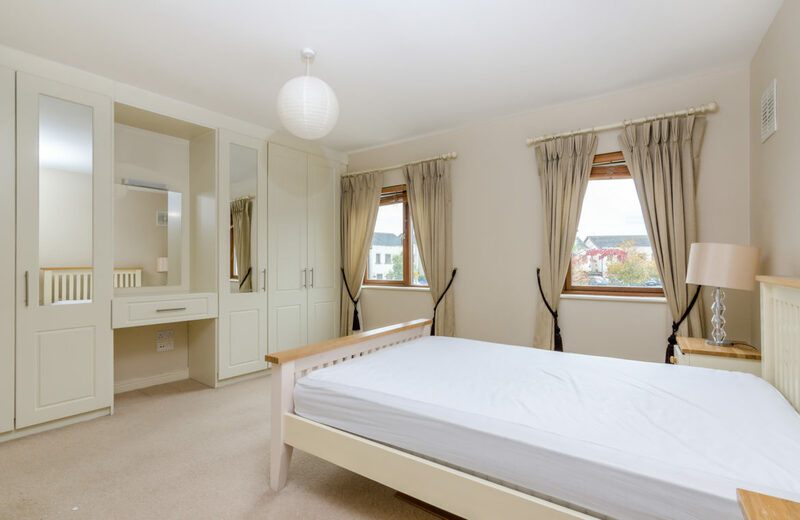 Bedroom 2: (3.90m x 2.75m) double bedroom, carpet floor, built in wardrobes. Bedroom 3: (2.20m x 2.90m) single bedroom, carpet floor. 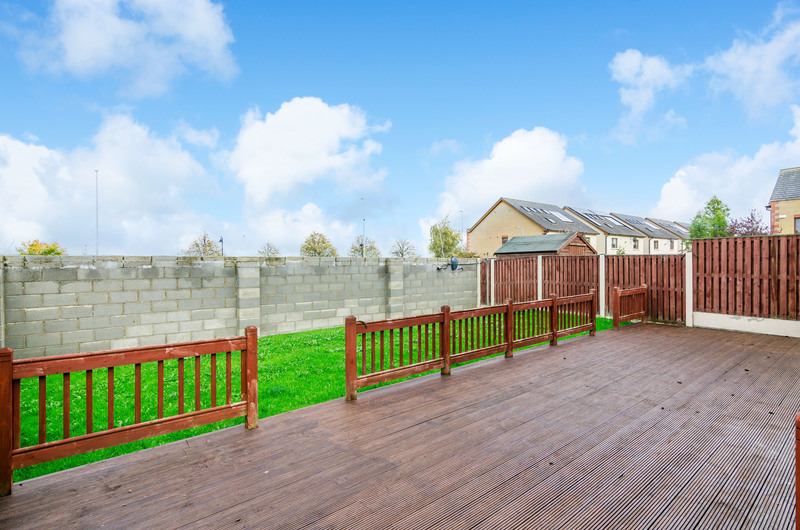 Rear Garden: Lawned, decking area. >> READY FOR IMMEDIATE MOVE IN .